Abiraterone acetate, marketed as Zytiga®, is the standard medicine used to treat metastatic castration-resistant prostate cancer. Patients taking Zytiga are told to take four of the 250 milligram pills first thing in the morning on an empty stomach and then . wait at least one more hour before eating breakfast. However, by taking this high-cost drug with a low-fat meal instead of on an empty stomach, prostate cancer patients could decrease their daily dose, prevent digestive issues, and cut costs by 75 percent, That is the finding of a study done at the University of Chicago and published in the March 28, 2018,issue of the Journal of Clinical Oncology (JCO). 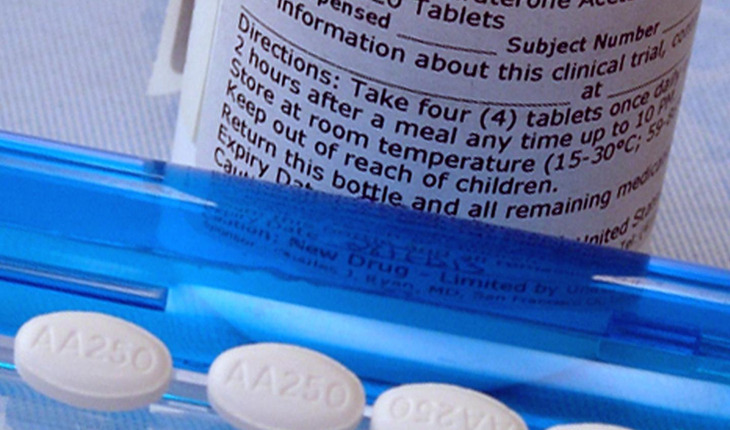 A release from the university quotes the study’s lead author, Russell Szmulewitz, MD, associate professor of medicine at the University of Chicago and a prostate cancer specialist, as saying, “This schedule is not only inconvenient for patients, it’s also wasteful, in several ways.” A one-month supply of the recommended dose of abiraterone costs $8,000 to $11,000 when purchased wholesale. That adds up to a little more than $100,000 each year. Many patients take the drug for two to three years.